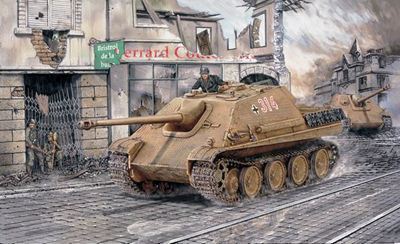 1/35 German Jagdpanther Early Tank Model Discounts Apply ! DRA6245 - 1/35 German Jagdpanther Early Type Tank Model w/ Aluminum Barrel and Photo Etched Parts. Normandy Campaign WWII 60th Anniveryary tank model kit. Discontinued Item.